My students love using Code.org to program the angry bird to get the piggy to move. This is simple coding and it's best. 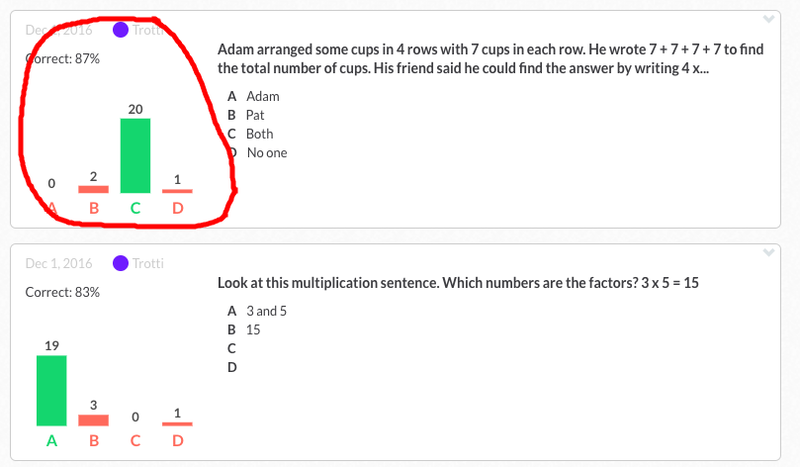 If you haven't discovered Code.org yet, you will be surprised at how easy it is for students to manipulate. Oh, and the collaboration is unfounded. Students can choose to work together or not and even if they don't, I am always hearing across the room, "hey can you help me code this?" I can't get the pig to jump correctly." 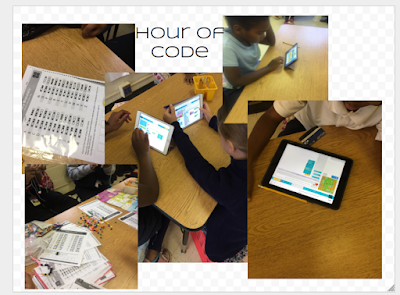 We've all heard coding teaches collaboration, critical thinking, cooperation, independence so why not give it a try. Plain and simple, this is fun for students. As they become proficient in this, you can begin to design content where the students have to code their own sequence to something or even have them design a game. 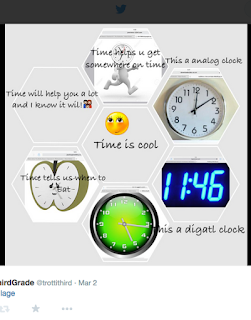 As much as I am trying to keep up with technology I don't seem to have time to write about it like before. 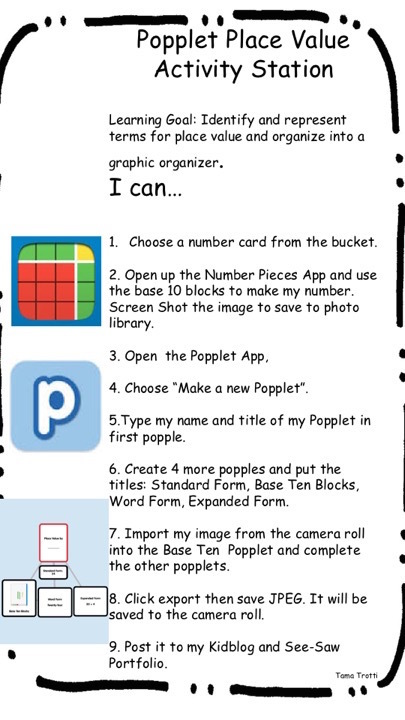 I know Plickers isn't new, but I have recently discovered it and I am really enjoying the ease of formative assessments with this application. First set up an account at https://www.plickers.com/ to create your class. Each student is assigned a number and a unique card that keeps track of that student's particular responses. It took me no more than 8 minutes to set up my class. Plickers recommends you print out the response cards on cardstock and do not laminate. The lamination interferes with the scanning. Teachers can type up multiple choice or true/false questions. These questions are displayed up on a board and students rotate their card to hold up the correct response. Teachers use their smartphones to scan the cards - no devices are needed by students!! 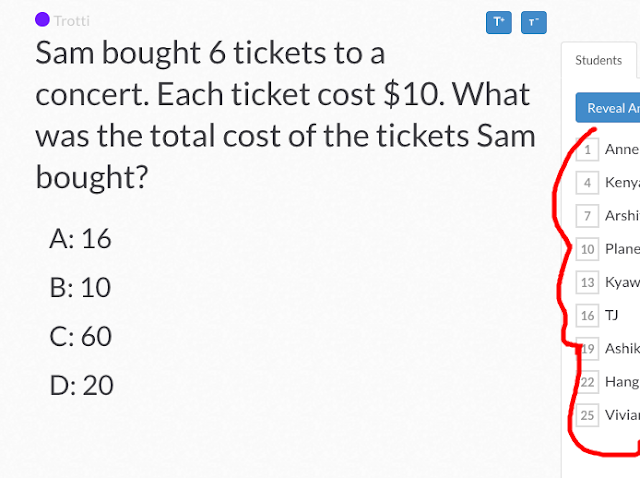 Teachers can see the live feed of answers as cards are scanned. Right away teachers can review quickly what was not understood or pull aside those few students that may have responded incorrectly. 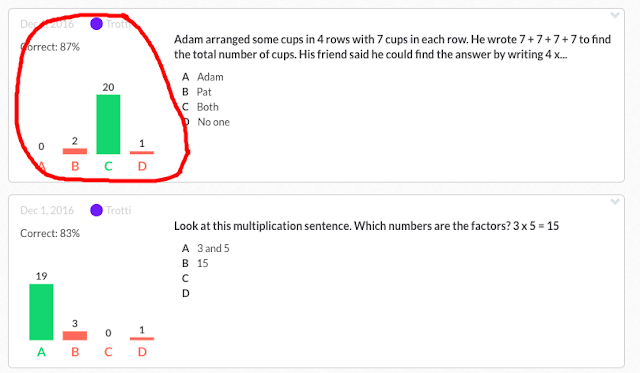 Teachers can type up questions based on their content. This is the live view the students will see. Create questions for any content. Get Real time data immediately. I had played around with Edmodo lots, but had never really gotten the gist of it until I changed my delivery of my homework. You know when you get that "aha"moment..... it came when I realized I could use Edmodo with very little effort on both my part and my students part in terms of management. We now use Edmodo for our homework assignments. It makes it so much easier to post assignments and short videos for the students to watch at home. For those students who don't have internet access, they can receive a paper version of the homework and watch the videos at school. The best thing about Edmodo, thus far has been using it to make global connections. Teachers post queries, help, suggestions, etc in the various groups you belong to. I answered a post about an elementary teacher looking to want to connect with others around the world. She created a unique group which only allows our members via a group code join and connect. My students have been able to connect with other classes in Canada, Italy, France, and Thailand. I can monitor my students' posts, but they have the capability to sign into their Edmodo account from school or home and correspond with others. I have seen my students blossom in terms of the thought-provoking questions and conversations they are having. Edmodo is the one thing my students consistently go to more than any other site. I highly encourage you to investigate Edmodo and all it has to offer. 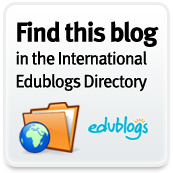 This is just the tip of the iceberg as there are alot of fabulous things this site can do to help manage your classroom better. 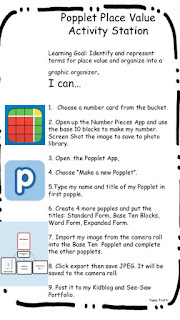 Give it a try and see if it doesn't make your classroom management load just a bit lighter. Please join me at the TLIPAD Conference on November 12-14 in North Carolina. I will be doing a session on Seesaw - the digital portfolio App and more. 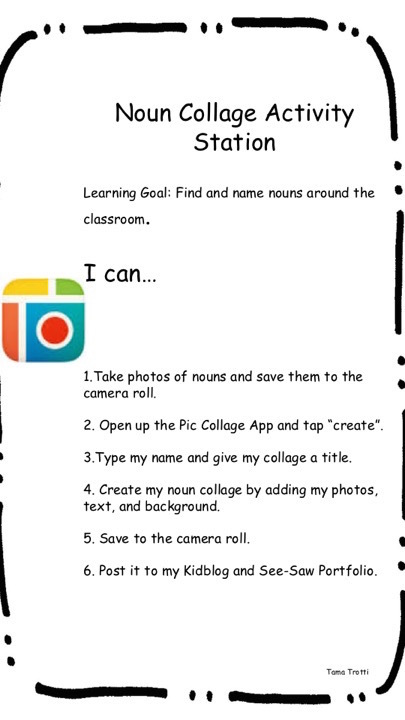 Come learn all about SeeSaw and the many things you can do all within this one App. 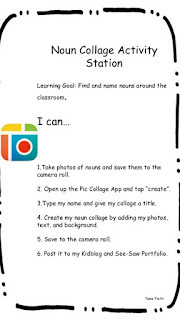 Following on the heels of Mrs. Wideen http://www.mrswideen.com/2013/09/6-ready-to-go-ipad-centers.html and her awsome IPad centers, I created some Ipad centers for third grade. I am trying to move more away from paper and not stand at the copier making endless copies. 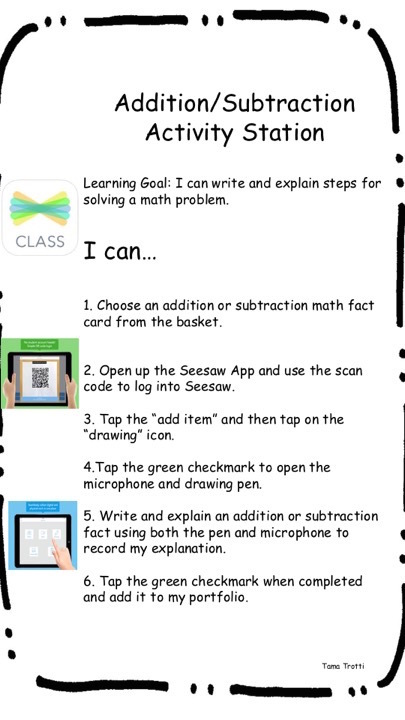 I created these Ipad Stations to reflect third grade work and then have the students post in their Seesaw Learning Journal which is an online learning portfolio that I cannot say enough good things about. 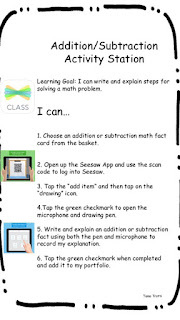 Have a look at some of the work my class is doing and feel free to use these Ipad Center Ideas as well. Here's some awesome appsmashing right here!! 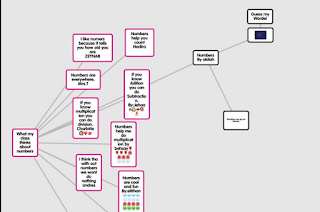 Using Number pieces and Popplet together. It has been sooo long since I have shared anything on this blog. I moved back to Atlanta, Georgia after living in France for 7 years and it has been quite an adjustment. I settled into a third grade classroom in a lovely international community setting. It is almost the end of the year, but I wanted to share some of the things I have been doing with my class this year. I have introduced them to so much different technology. 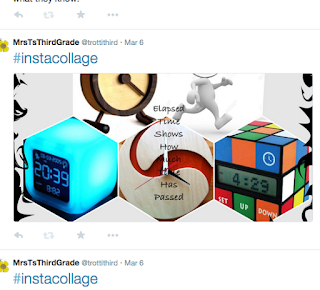 One idea my class uses and I I use as an assessment is InstaCollage. Here I have the children create a collage based on whatever topic we may be working on. I add parameters such as minimum of 5 photo frames, must include text boxes with explanations and a title and author. Here are a couple of images from some of my students.